We have an exclusive featurette from The Carol Burnett Show: The Ultimate Collection DVD set, a 22-disc Time Life set currently available for pre-order at CarolOnDVD.com. This deluxe package features 50 episodes of the classic series, along with a 24-page memory book, a replica curtain from the show, and over 12 hours of bonus features. 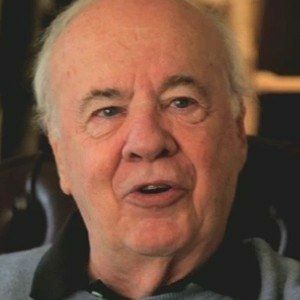 Take a look at this video that where Tim Conway discusses a memorable skit called Ad Men, where the actors just cannot keep a straight face. The Carol Burnett Show debuted on CBS in 1967 and ran for 11 years, receiving 25 Emmy Awards five Golden Globes, and 12 People's Choice Awards, making it one of the most honored shows in television history. TIME Magazine named The Carol Burnett Show one of the "100 Best Television Shows of all Time" and Carol Burnett has been honored with more People's Choice Awards than any other actress. Three episodes from The Garry Moore Show where Carol got her start, including the "Supergirl" episode, where Carol did her Tarzan yell, for the first time on television. - Rare sketches from the first five seasons of The Carol Burnett Show, not seen anywhere in over 40 years. Included are guest appearances by Lucille Ball, Jerry Lewis, Bing Crosby and Bob Hope, plus one of the most beloved sketches in the history of the show-- "The Dentist," with Harvey Korman and Tim Conway. - A raucous 100-minute Cast Reunion with Carol, Vicki Lawrence, Tim Conway and Lyle Waggoner. - Focus on "The Family"
- "Ahhhh, Mrs. Ha-Wiggins? "-As in "Tudball and Wiggins"
- Next Stop, Broadway - About the "Mini-musicals"